With all respect to you and enlightenment you share with us, I would like to share some with you on Russ tribe, its origin, and its connection to Ukraine vs Russia. This topic is essential for it explains the legacy of Russ tribe and who can have a claim about it. The gist here is that original Russ tribe was definitely of Germanic origin, being indigenous to Crimea and the Black Sea and Azov Sea Steppes. Yes, they were “locals” – in effect a part of Crimean Goths (called “Rosomonorum Gens Infida”). They were a syncretic culture combining Germanic and Alanic features. Their polity splits away from Goths and Crimea in the last quarter of 8th century. The split stems from the revolt of John the Goth and political and religious controversies in Gothic society. After the split, Russ tribe headed North into the lands of their tributaries, Slavs. Sure, this period conveniently coincides with the beginning of Vikings’ Great Time, and those who forged our history used this pretext to make up “Calling for Normans Theory”. Beneficiaries to this Theory were a few Ugly Ones. The first and foremost, Catherine the Prussian, whose Prussian “historians” forged the Theory as an excuse for Prussian takeover of Russia. The second Big One is Greek Orthodox Church, who from the 11th century tried to cover the fact that Russ tribe was baptized long ago in its Crimean Time, but Christianity of the tribe initially was of Arian rite, not of “orthodox” Greek-style (due to this very reason churches in Kiev were re-consecrated in the 11th century when Greeks finally crushed Rus’ original Christianity). Note that “obsession” of the first khagans of so-called “Kiev Rus” about Crimea and Khozaria can be explained not with the thirst of “wild Varangians” for raids, blood, and gold, but with their claim to Crimean and Khozarian Christian dioceses, which they wanted to make their “Arian Domain”. For what it’s worth when in your Cycle of War Report you said that 2018 will be crucial for Ukraine, as was the year of 1709, I tested cycle of 309.6 years further on against our history. Amazingly, I spotted the points of really great importance for the development of consequent events, and bumped into the year of 781!!! The year of possible political split and exodus of Russ tribe from Crimea. Thus, the origin of Russ tribe is rather associated with the South, not with the North, as they used to fool the people for centuries. REPLY: I fully agree that at the very least there is an admixture of northern and southern. The claim that the Rus were Vikings exclusively has debatable support in history and it was used for political purposes. According to the Primary Chronicle, it was the Vikings who invaded in the later 9th century who were invited by the Slavs. To be fair, Oleg of Novgorod was a Varangian prince who was argued that he ruled all or part of the Rus’ people during the late 9th and early 10th centuries. He was supposed to be the supreme ruler of the Rus’ from 882 to 912. However, the dating remains a controversy because it is inconsistent with other sources that mention other people ruling the Rus’ as late as the 940s. Even the relationship of Oleg with the Rurikid ruling family of the Rus’ remains questionable. Furthermore, his successor Igor of Kiev is also a matter of much controversy among historians. The claim of ethnic connections has always been an excuse for invasion. Hitler began his invasion under the pretense he was defending ethnic Germans being prejudiced. The occupation of the Sudetenland, the border regions in the north and west of Czechoslovakia, was the first time Hitler flexed his military muscles in Europe. The region was conceded to Germany by the Czech government in an attempt to avoid war after the Germans made demands for it to be handed over. Hitler’s claim was to unite the German-speaking people of this region with Germany. This has always been a common theme in war. Nonetheless, the conversion of Russia to Greek Orthodox is a little more complicated. In 1439, at the Council of Florence, some Orthodox hierarchs from Byzantium as well as Metropolitan Isidore, who represented the Russian Church, signed a union with the Roman Church, whereby the Eastern Church would recognize the primacy of the Pope. However, the Moscow Prince Vasili II rejected the act of the Council of Florence brought to Moscow by Isidore in March 1441. 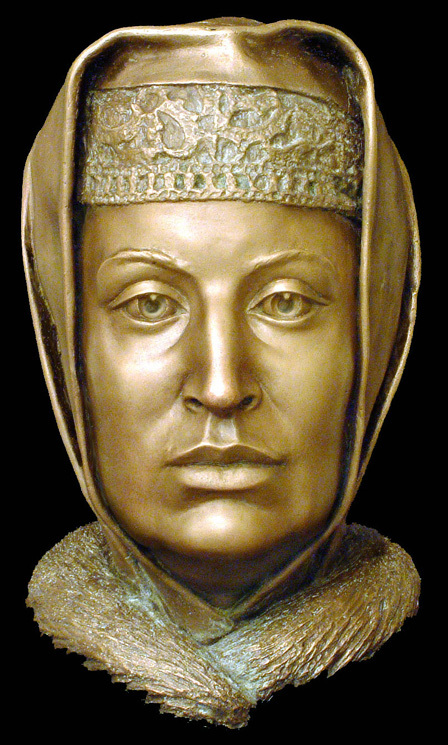 The real final division came with the niece of the last Byzantine Emperor Constantine XI, Sophia Paleologa (1440/49-1503), who eventually went to Russia and married Ivan III (The Great) (1462-1505) when Constantinople fell to the Turks in 1453. Many scholars fled to Rome and there they opened schools. It was no coincidence that Christopher Columbus used the teachings of the Greeks to argue that the world was round. The marriage between Sophia and Ivan III was proposed by Pope Paul II in 1469. This was intended to strengthen the influence of the Roman Catholic Church in Russia and the unification of the Orthodox and Catholic as was attempted in the Council of Florence. Most likely, Ivan III’s motives for pursuing this union was probably connected with the status and rights of the Greek princess over Constantinople. He was marrying into a historical line of royalty that dated back centuries. Sophia brought her court with her and it was probably the Greek line that actually justified more than ever maintaining the Orthodox religion separate and distinct from Rome. The early history of Russia can be divided into three 224 year cycles of Cimmerian Rule, followed by cycles of Scythian Rule, then cycles of Sarmatian Rule, with the invasion of the Goths in the 3rd Century followed by the 4th Century invasion of the Huns in 370AD. Upon the death of Attila in 453AD, it was the Avars who took control, although they were closely related to the Huns. Russia fell to the Mongols led by the grandson of Genghis Khan who destroyed the capital Kiev in 1240AD. 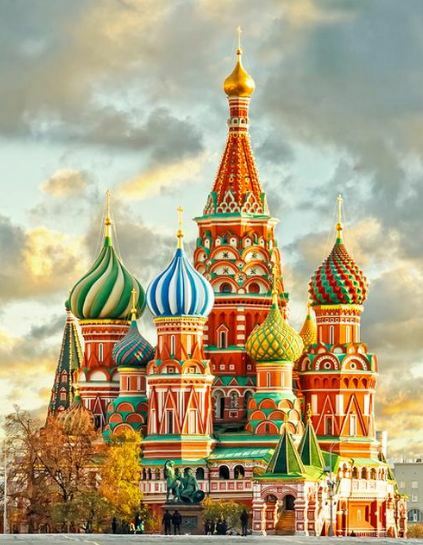 Moscow began to rise as a city in the 14th century. The Mongols were fierce warriors. Genghis Khan had tried to conquer China, but broke off his invasion in 1218 and turned toward the West. He died in 1227AD, and it was his grandson who turned back to conquer China in 1279. His dynasty fell in 1368, and so was the fate of the Mongolian Empire. The Russian Monetary System began also with cattle (skot) during the Kievan period. Skins of small animals and precious metals were used as fixed-value exchange rate based upon barter goods. Up until the end of the 12th century, cattle was the unit of account but commerce took place with the skins of small animals. Actually, furs became the common method of payment for they were valued in terms of cattle, but were much easier for transport and divisibility for small transactions. This made small furs much more suitable for money and they were also an important item of export. Written sources began to speak of such units of payment as kuna (marten’s fur, from kunitsa, a marten), belka or veksha (squirrel), veveritsa (ermine) and nogata (fur with legs, from Arabic nagd, a good or full-value coin), and also of pieces of fur (resana), muzzle furs (mordka) and paw furs (lapka). The word for silver was “serebro” which became more and more common to denote money as trade with the Byzantine world increased. The Old Russian words kuna and nogata, come from the old “fur money” or “leather money,” thereby retaining their meaning as metal money began to emerge. 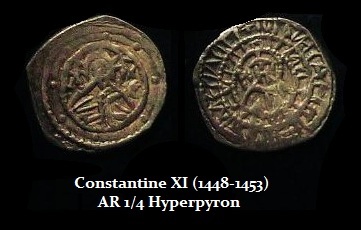 The names continued in use even though the money began to change to metals given the trade with the Byzantine world. The Rus relied upon foreign produced money. 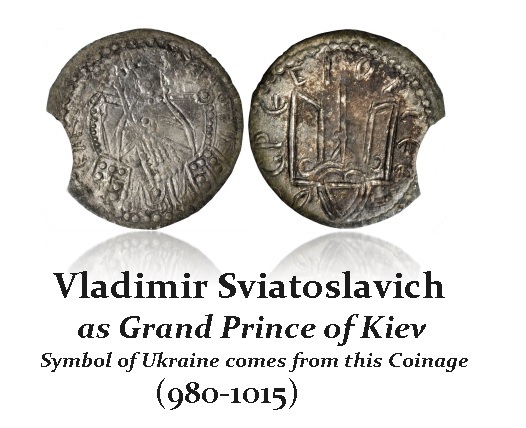 Both Byzantine silver coins and the silver dirhems of the Arab Caliphate are found in Ukraine and parts of Russia confirming trade existed. It is clear that there was a change from “fur money” to silver and the oldest Russian unit of value was the “grivna”, which was based on the Arab coinage system. We begin to find only from the 10th century onwards that local coinage began to be struck and once this took place, then coins became the actual unit of payment in markets. This enabled the expansion of the economy and really the rise of Russia out of the barter age. The “grivna” became both a unit of account an money by weight. Its value equaled to that of 96 gold dinars (s[o]lotniki) or 144 silver dirhems (s[e]rebreniki).